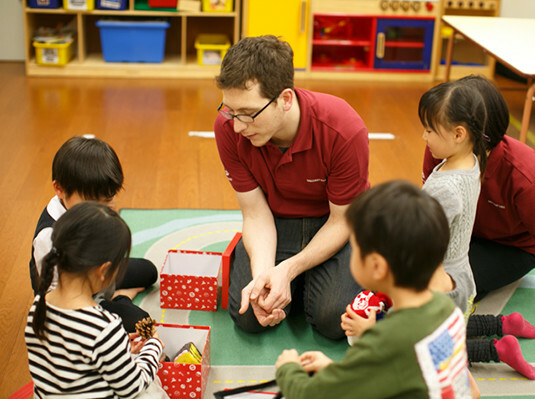 This is a after school class in which the children can experience various creative activities after attending kindergarten. This integrated learning program is based on an all-round American kindergarten curriculum. 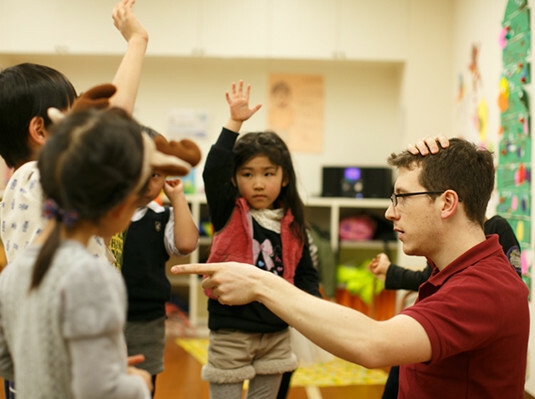 The class builds the children's creativity through music & movement (music and exercise), art (craft), stories (a storytelling), and literacy (reading & writing). 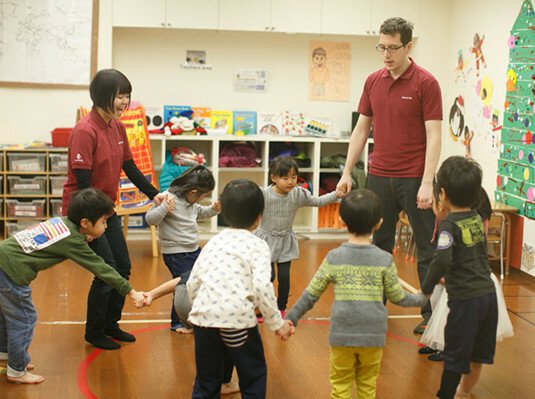 In addition, by playing and doing various activities with the foreign teacher, they will begin to think internationally and their curiosity of various cultures and customs will grow. Using a journal in which the children can express their intentions with pictures and words, they can establish a firm foundation for literacy (reading & writing). In the Advance class children will learn phonics, which will enable them to learn how to combine words with sound.